Why Home Automation is not Popular Yet and What are the Problems? 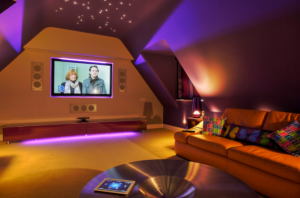 Home automation is the dream of all homeowners, but it requires high-end software, hardware and application interfaces affording which can be problematic for many. Even though there are cheaper systems available on the market, you will not really be in full control over your home with these. Moreover, though these are beneficial to some extent, they may not be considered as a necessity. Depending on the size of your home and a number of appliances that need to be hooked up, you may have to spend a lot of money. Integrating all the home appliances is not an easy task since they are not of the same age and the input and output cables are also not the same; i.e., some may be analogue while others, digital. Thus, get in touch with a provider like HDHTech to advise you before embarking on buying expensive systems that you could have problems with. As you can imagine, if you have lots of devices, you will require a multitude of wire connections. Since there are so many devices, it is the tendency of many to stack them on top of each other and save on wire cost. But this is not a good idea because they can overheat. Stack them in such a way that they are easy to reach so that the vents can be cleaned regularly. Technology is changing all the time and with that, electric products are getting more cost effective. They will become cheaper until every person in the world will be able to afford automated homes and have a better standard of living. The technology is already on the move and companies like HDHTech can give you a quote that could suit your pocket. basauthor	2017-08-12T10:45:16+00:00	August 9th, 2017|Comments Off on Why Home Automation is not Popular Yet and What are the Problems?